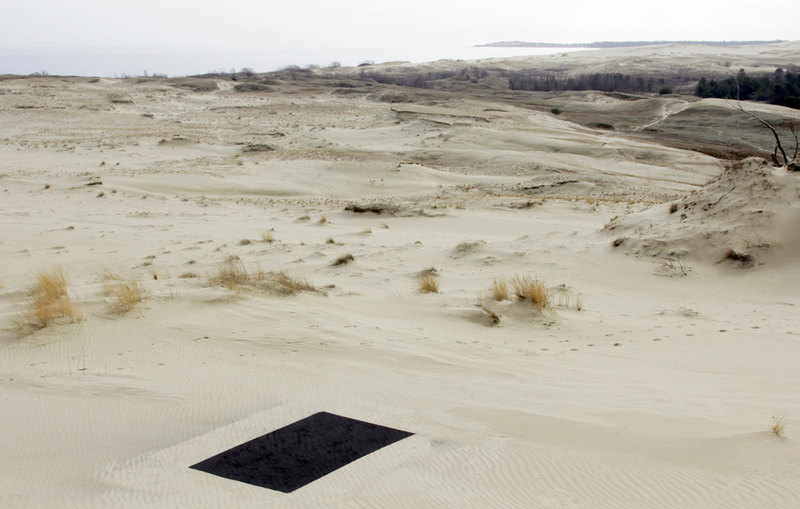 Homemade charcoal was produced from locally found driftwood, then powdered and sifted onto the giant Parnidžio sand dune during a residency at Nida Art Colony, Lithuania. 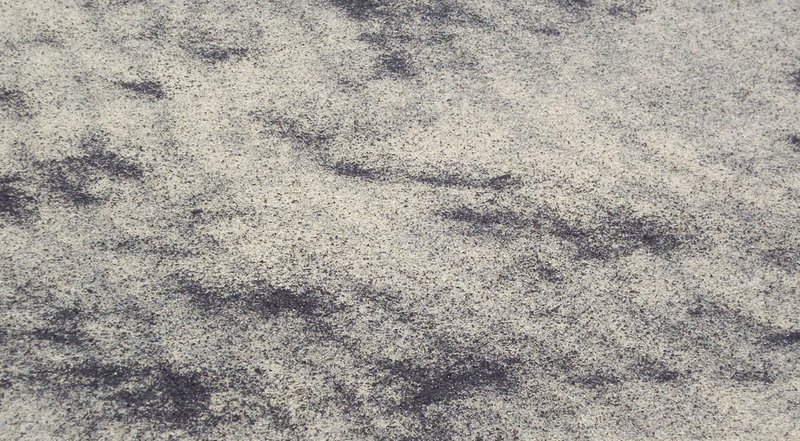 The Initially velvety-black charcoal sat on top of the undulating surface, forming a crisp black rectangle. 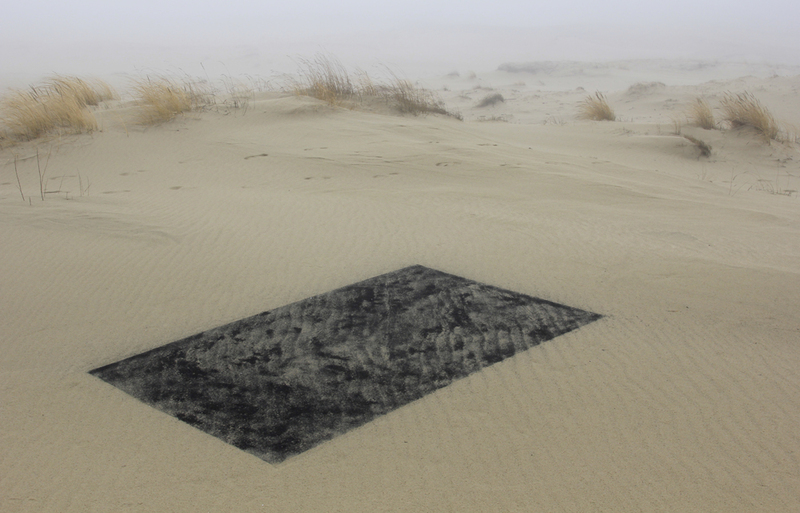 Over the following few days the Baltic sea winds gradually removed the charcoal, revealing the patterned sand waves beneath. All that remains of the original drawing is photo-documentation. This piece was selected for the Jerwood Drawing Prize Exhibition 2014.